Food artists have found a home on Instagram. A select group of super talented chef-artists are posting pictures of their almost too good to eat creations. Beet juice has replaced red paint, icing has replaced clay, and smoothie bowls stand in for mixed media compositions. What these people can do with food is absolutely mesmerizing. These pictures may even inspire you to try your hand at your own culinary creations. Even if you’re not yet at the level of these chefs, adding a little color and style to your food is a great way to keep lunch interesting! 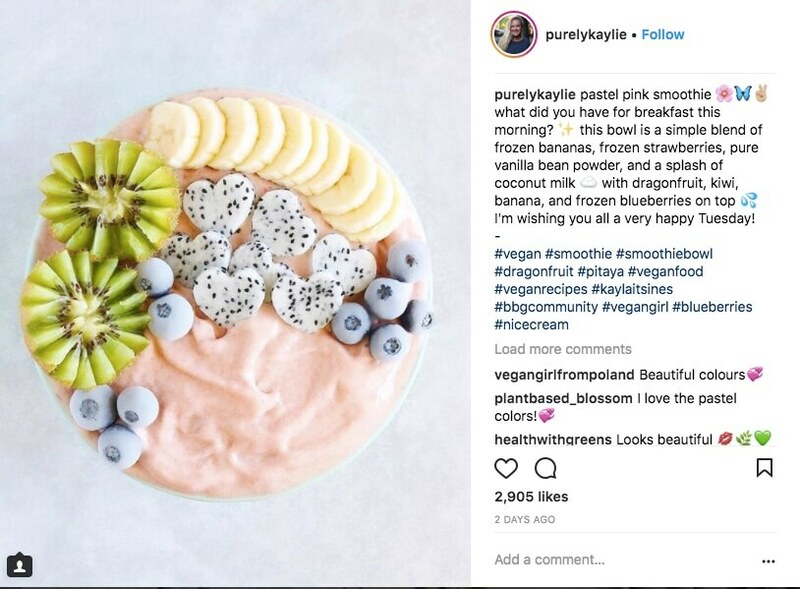 This smoothie bowl is all about the details. The heart-shaped dragonfruit pieces, geometrically cut kiwi, and frozen blueberries all add to its dreamy aesthetic. This gorgeous creation is also vegan and not too difficult to replicate. @purelykaylie’s Instagram page is full of divine creations like this one. It was super difficult to choose just one picture for this slideshow. Her smoothie cups make use of cut fruit pressed against the side of the glass for extra color and pattern. She also has a recipe book that includes over 75 vegan recipes available on her personal website.